It’s January in the New Year which means everyone and their mother is (1) at the gym (2) “resolving” to eat healthier (3) drinking 75 raw juices per day because they saw their favorite blogger doing it. Well, how about you do one simple little thing: eat more vegetables. How easy is that! Truly, we put so much pressure on ourselves to become these health machines overnight, all because the world turned a year older. So, instead of trying every new workout under the sun/starving yourself/eating gross food because it’s supposed to be “healthy”/juicing, how about you just commit to eating more vegetables. I guarantee you will eat less of the other crap, because eating a lot of vegetables fills you up! They’re chock full of fiber and water, among a million other things that are good for your body. And by choosing to eat more vegetables I bet you’ll try some new recipes also. Maybe some new cuisines. 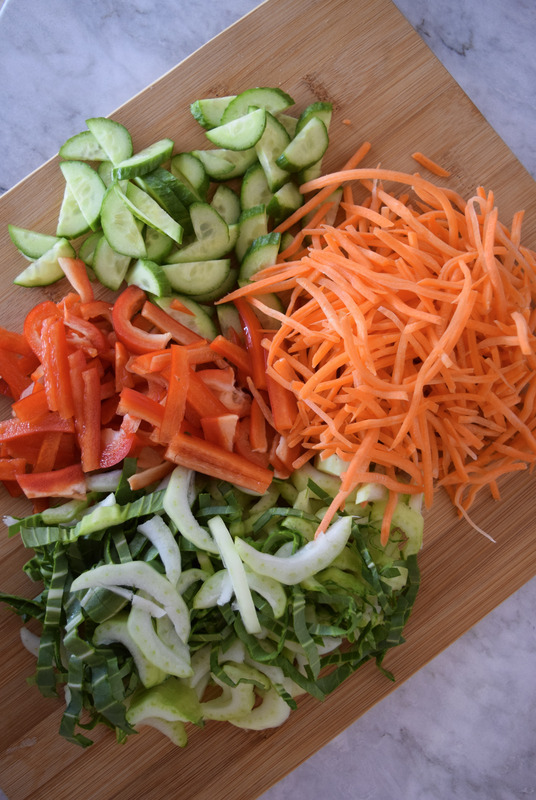 Indian, Middle Eastern, Thai, Japanese….just to name a few cultures that focus a lot on vegetables and make them taste amazing! Today I’m writing one of my favorite bowls for you. The base; these crazy noodles made from kelp. Yes, you read that correctly. They’re pretty flavorless, sort of chewy and translucent. I love them because they fill you up with very few calories and they absorb the flavor of whatever sauce you add to them soooooooo make a good sauce and the noodles will taste delicious! So I “cook” the noodles with an acid and a base (vinegar and baking soda) to plump them up and then throw in some chopped veggies and a yummy sauce, any sauce really will work! 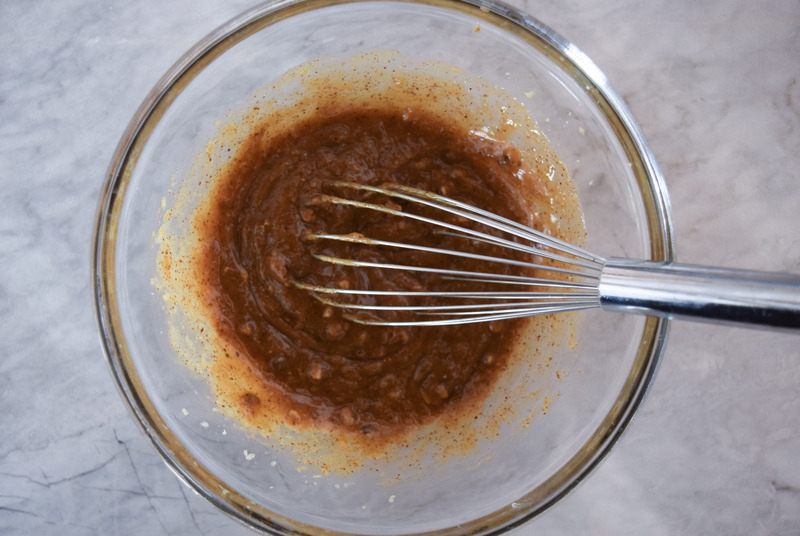 But in this case it’s a riff on a thai satay sauce, made with almond butter and a few other ingredients. 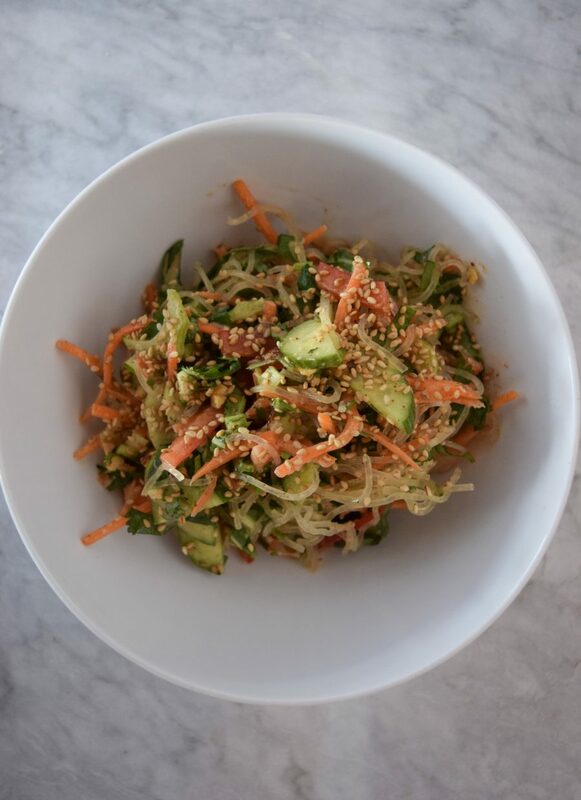 This bowl is tasty, fresh and delicious in the middle of the coldest streak we have had this year in Chicago it’s a bright taste of sunshine! Not to mention it will help out my immune system with the phytonutrients from the veggies. And, it only gets better the longer it sits in the fridge. WINNING! So do yourself a favor and make a batch for the weekend so while you’re cozied up under three blankets and on your 7th episode of The Crown you have something delicious and veggie filled to keep you going. Grate the ginger and garlic into a medium bowl. Add the remaining sauce ingredients and whisk until smooth. Set aside. Drain the kelp noodles and place into a large bowl. Cover with lukewarm water and add the vinegar and baking soda. Massage the noodles for a few seconds to loosen up and leave to the side to soften for about 5-10 minutes. Drain the noodles very well and then add back into the large bowl. Pour the dressing over the top and mix. Add the vegetables and chopped cilantro into the bowl and toss with tongs until everything is combined. 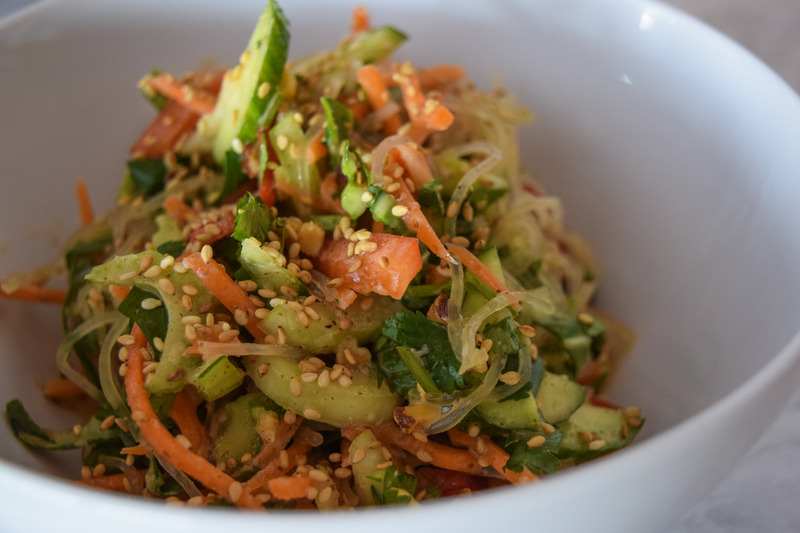 Divvy into bowls and top with toasted sesame seeds or cover the bowl and keep in the fridge for up to 5 days. *To make nut free: Use sunflower seed butter in lieu of the almond butter. **To make soy free: Use coconut aminos or add a pinch of salt to the mixture.